Fighters that wait for another fighter to throw a punch and then go down is a common mistake made in many movies. In reality the fighter would have taken action to (try to) knock the other one down or would have anticipated the next action and have blocked it. Group fights in which one (or more) fighters are standing still, awaiting the moment another fighter of their group is finished. In reality a group would attack together and would not wait their turn. 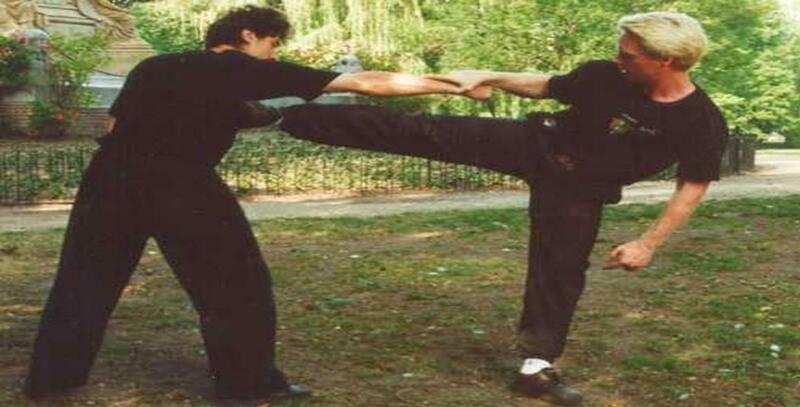 Real martial artist usually only have experience with collecting and throwing real punches. Without proper training it will show they cannot act to collect a hit, or act to throw a punch in a way that makes it look as if it happens for real.